"Rose Quartz is a "stone of unconditional love". It opens the heart chakra to all forms of love: self-love, family love, platonic love, and romantic love. 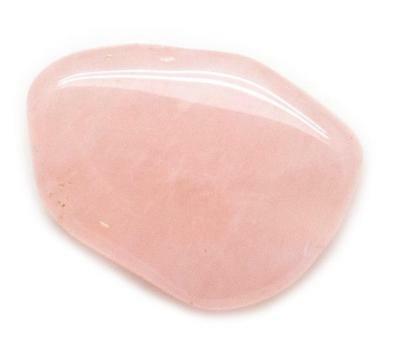 Rose quartz has excellent protection energies during pregnancy and childbirth. The elevated energy of quartz gives rose quartz a property of enhancing love in virtually any situation. It also brings gentleness, forgiveness, and tolerance. It emits a calming, cooling energy which can work on all the chakras to gently remove negativity and to reinstate the loving, gentle forces of self-love.” Melody, Love is in the Earth.